At Pelican Landing Dental, we believe every patient we treat deserves to have the flawless smile of their dreams. In the past, patients assumed that bright, white, picture-perfect smiles only possible for those celebrities on the covers of magazines. Today, our team is able to provide any patient with the cosmetic dentistry services they need to perfect even the most damaged smiles. If you’re interested in enhancing your smile’s natural beauty, contact us to schedule a cosmetic dentistry consultation today. Our Bonita Springs, FL dentistry team welcomes patients from Estero and throughout Southwest Florida. 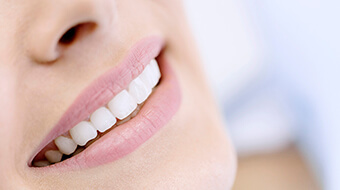 Possibly the most versatile cosmetic dentistry solution available, porcelain veneers can be used to correct or conceal numerous cosmetic smile flaws with just one, minimally invasive procedure. Completed over the course of two visits to our Bonita Springs office, veneers are thin sheaths of porcelain that are custom crafted to fit over the front facing surfaces of teeth. The process is simple. 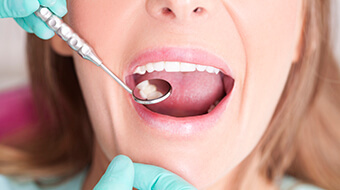 During an initial appointment, we’ll remove a small amount of tooth enamel from the surface of teeth. This allows the veneer to blend seamlessly into the natural line of your smile. Then, we capture bite impressions that will be used by our dental lab to craft the custom veneer. To protect your prepared teeth and allow you to get used to the look and feel of your veneer, we place a temporary veneer. When we receive the final product back from the lab, you’ll return to our office where we can exchange your temporary for a flawless, durable, custom porcelain veneer. Dental crowns, bridges and other restorations offer complete repair for the form and function of patients' smiles but using metal free, ceramic, we can correct damage and decay or repair purely cosmetic flaws. Crafted from a single block of high-quality ceramic, these restorations retain their natural look and feel for years. Additionally, because these restorations are completely free from metals, they are the ideal solution for patients who suffer from metal allergies or sensitives. The tooth-colored filling material we utilize regularly, composite resin, can also be used in purely cosmetic treatments. Known as direct bonding, this cosmetic solution can be used to conceal and correct many of the same chips, cracks, stains, and gaps that are commonly treated with porcelain veneers. However, direct bonding is completed in a single day, without the removal of tooth enamel, and the procedure is more affordable than veneers. It’s not the right solution for every patient, but for those who need to conceal minimal cosmetic flaws, direct bonding may be a viable alternative to porcelain veneers. 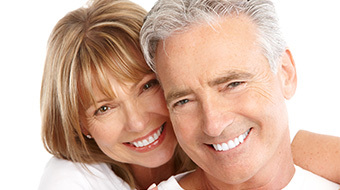 Teeth whitening is one of the most popular cosmetic solutions we offer. Unlike store bought teeth whitening products, in-office whitening offers predictable results up to ten shades brighter. Best of all, the entire treatment is quick and convenient and can be completed in just one appointment at our office. We apply the professional-grade whitening gel to teeth after protecting the gums and soft tissue from potential damage. Typically in less than an hour, you’ll see the dramatically brighter results you’re looking for in complete comfort. If you’ve tried every over the counter whitening toothpaste, mouthwash, strip, and gel on the market and you’re still not happy with the shade of your smile, let our team customize a predictable, effective at-home teeth whitening plan. Unlike products available in stores, our take home kits include professional-grade whitening gel and a custom-fitted application tray. By filling the trays with gel and wearing them for a predetermined amount of time, you should see a brilliant smile up to ten shade brighter after two weeks of treatment.